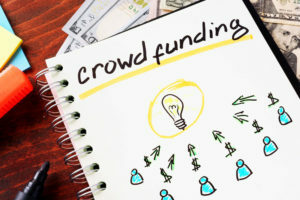 Crowdfunding can be a great alternative to traditional financing routes for schools, daycares, hospitality venues and Homeowners’ Associations. But like all new things there are some challenges. Follow our tips to a successful crowd driven campaign. A quick google search will return hundreds of crowdfunding platforms that have popped up seemingly overnight. It’s best to take a close look at whichever one your organization chooses, as each have different target audiences, marketing plans, and costs! The cost of crowdfunding isn’t always cut and dry. Some sites charge a flat fee while others charge a percentage of funds raised. Some sites encourage offering a series of “gifts” to donors, while others aren’t donations at all. That’s right, some sites specialize in crowd lending which require a return on investment or partial ownership. Most crowd sourced funding live and die by their social media campaign. Invest time and attention in to creating new contact that drives your audience to donate. Video testimonials are proven ways to create traffic. Stay active on your social media feeds and keep your progress in the forefront of donors minds. Afraid your audience isn’t large enough? Choose a platform that generates its own internal traffic. Let Adventure Playground Systems know your campaign is active and we’ll add it to our social media feeds too!